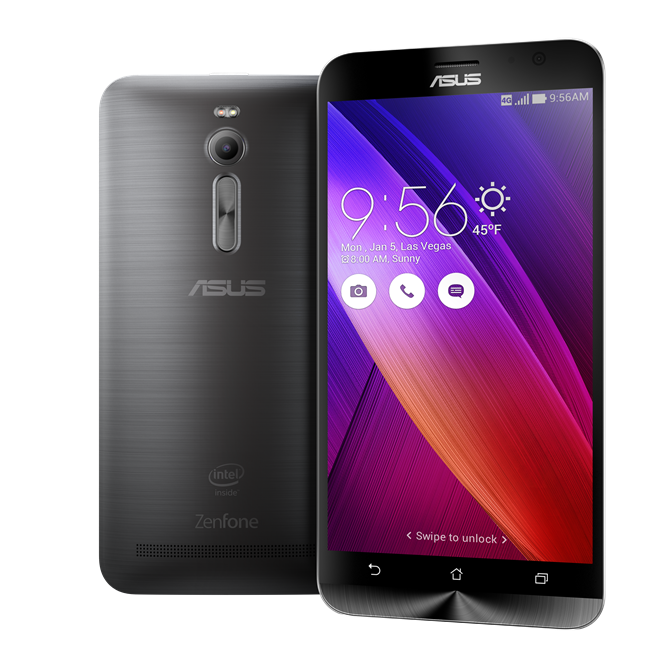 Asus hasn't had much of a presence in the US phone market aside from a few unpleasant PadFones, but that's about to change with the ZenFone 2. This device was revealed at CES in January, but now the US variant is official. It's coming May 19th for $199-299, and you can pre-order it tomorrow. 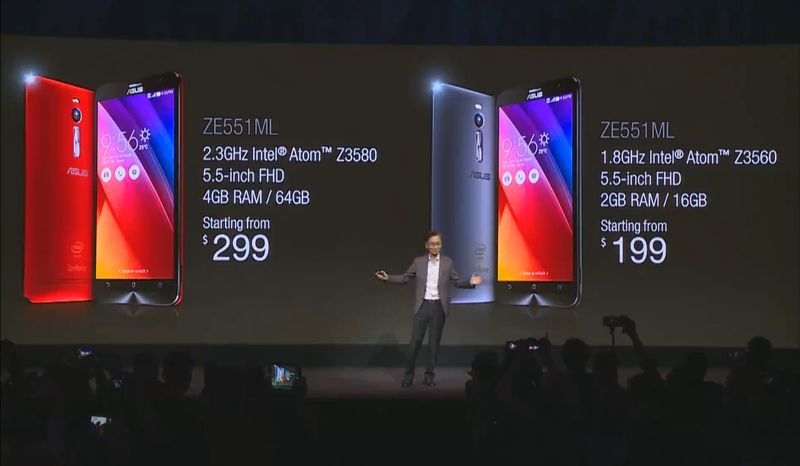 The ZenFone has solid specs at both price points. Regardless of the version, you'll get a 5.5-inch 1080p LCD, 3000mAh battery, and 13MP camera with an f/2.0 aperture. The cheaper $199 version has 2GB of RAM, 16GB of storage, and a quad-core Intel Atom Z3560 at 1.8GHz. The $299 model has 4GB of RAM, 64GB of storage, and a 2.3GHz Atom Z3580. 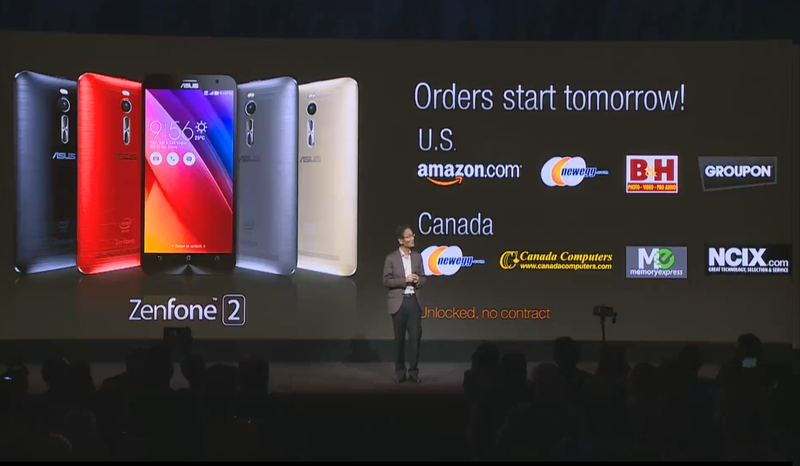 Pre-orders will be available through a number of stores in the US and Canada including Amazon, Newegg, and B&H. This is a GSM/LTE unlocked phone that should work on T-Mobile or AT&T in the US. If you've been holding onto a Nexus 5 for the last 18 months, maybe this will be a suitable upgrade.